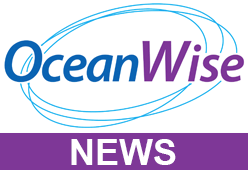 OceanWise, in co-operation with IMarEST, will be running a further One-Day Marine Data Management Awareness Course at IMarEST HQ, 1 Birdcage Walk, London, SW1H 9JJ on Tuesday 13th February 2018 from 0930-1630. Data is expensive to collect and needs to be treated as an extremely valuable corporate resource. However, history shows that a majority of organisations rarely, if ever, manage it effectively! With data volumes growing exponentially each year, ‘Big Data’ is now presenting a real challenge and the need to consider ‘data-centric’ operational processes and workflows has never been greater. This course introduces attendees to subjects such as the Data Life-Cycle, Data and Metadata Standards, Co-ordinate Reference Systems, Data Quality, Sharing and Publishing. The day concludes with a discussion on the challenges organisations face in achieving Data Management ‘Best Practise’. If you are involved in data collection, ingestion, analysis, sharing and re-use then this course will provide you with an extremely valuable insight on the world of data because ‘your data really does matter’.